Well, I guess if we can't have our summer days back, it's back to school we go... and that is always fun and exciting for the kiddos... If you’re like me, your back to school shopping sprees are filled with the search for great outfits the kids love, backpacks, the occasional ice cream or caramel apple, and the perfect pair of shoes. This year, Willow and I had to opportunity to collaborate with Famous Footwear to make her back to school adventure super fun. 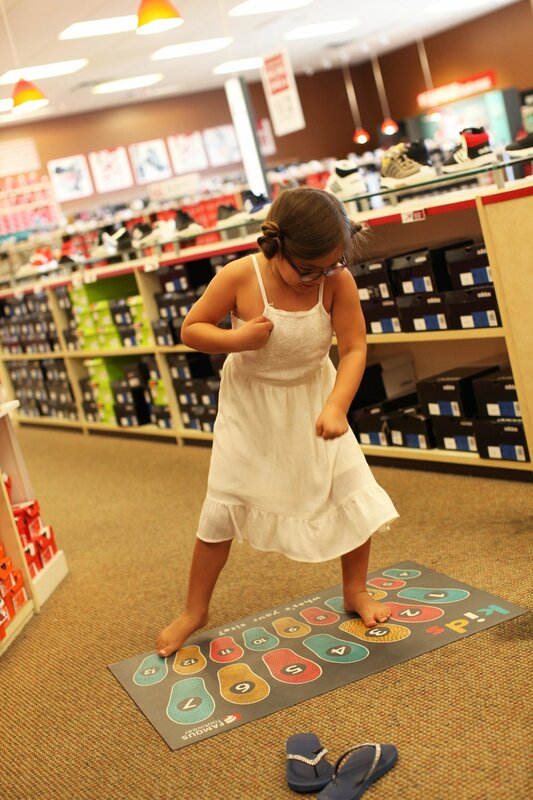 We had such a great time this past weekend picking out a few new pairs of shoes. As many of you already know, Willow loves fashion and being able to pick out her outfits and choosing what shoes to wear. So this shopping adventure was right up her alley! Of course, she had a lil’ help from me. 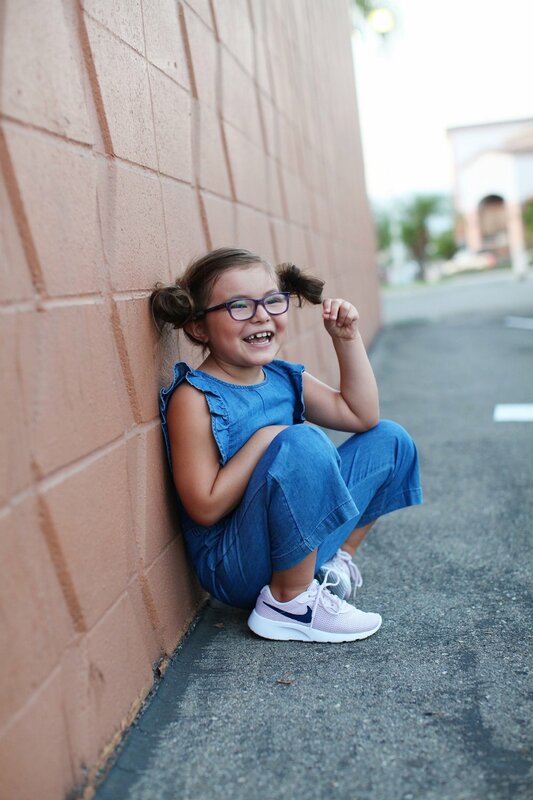 As we strolled up and down the aisles, she kept pointing out certain styles and saying, “I’ll wear those on the first day of school.” If everything goes according to her plan, I’ll have to pack three pairs of shoes in her backpack on the first day of school. 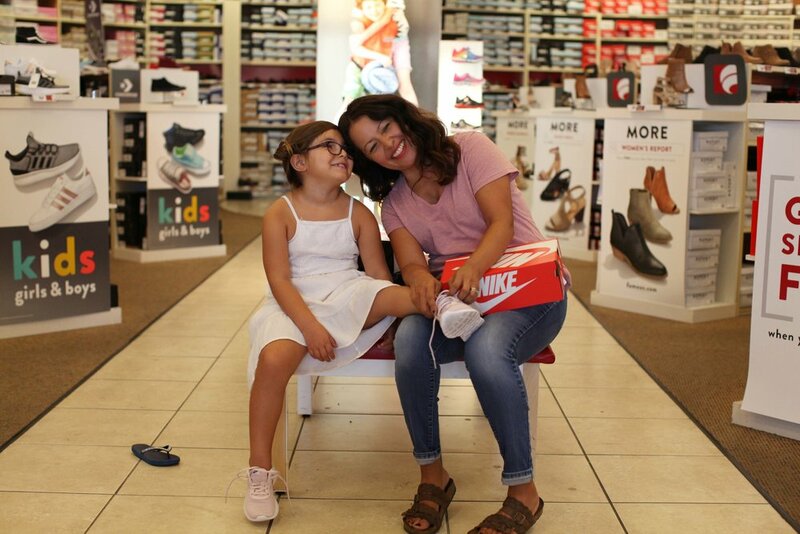 Thanks Famous Footwear for the opportunity to spend a great day shopping with my daughter! In the end her favorite pair was the Nikes (just like her big sister).